It’s December again and some of us are already enjoying the show (or not). Christmas is almost upon us and this is the time we at USA Translate think about the achievements of the past year but also to our happy customers and partners and we’ve prepared a small video just to say a big thank you to you all: thank you for trusting us and for your business. Merry Christmas 2017 and Happy New Year! At the end of this year, we are completing another victorious year of fulfilling our promises to our clients. We have reached this far just because you have believed in us and esteemed us for serving you the best out of the rest. Your trust in our company’s integrity and quality of work are the key ingredients which have put together our success story. And what we regard as our most prized possession is our invaluable clients. We value your feedback and requirements which you put forth for us to accomplish your goals. 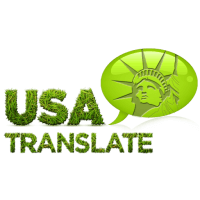 Through all these years USA Translate did its best to step up bit by bit with every coming client and provide better quality. We have been able to reach this far because of the confidence and constant support of our clients. A company is nothing and can never grow without its potential clients. We owe our clients the credit of our success as much as we owe it to our teams which work day and night to make sure we are setting a new precedent each day.